Sometimes you have to travel a really long way just to see a fish in its natural habitat. 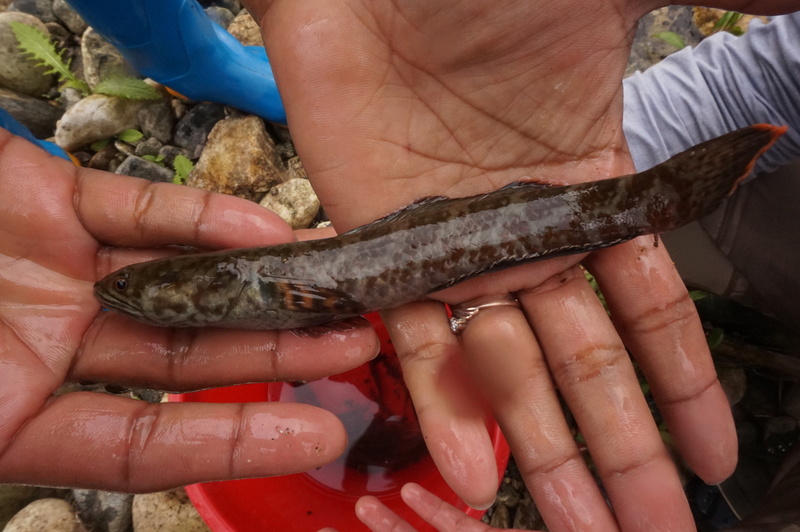 FISHBIO staff hiked 30 miles over steep forest trails just to reach our survey sites in the remote mountains of Myanmar with Fauna and Flora International earlier this year ­– so we were really happy when we finally got to see some fishes up close! 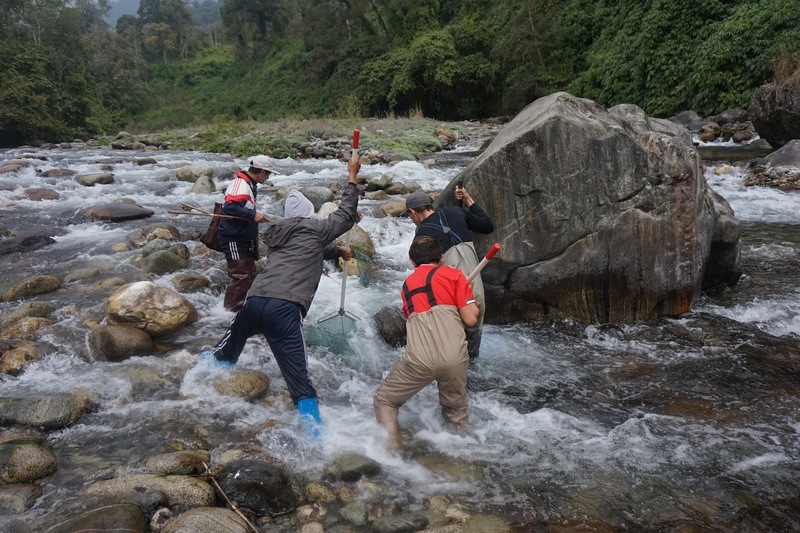 Part of FFI’s goal was to collect specimens of the local fish fauna in these high mountain streams. 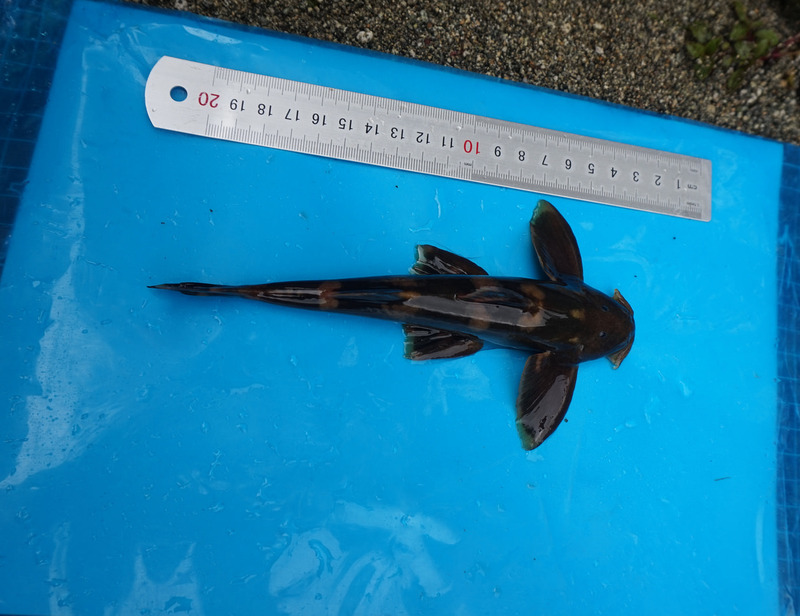 When conducting fish surveys in this area a few years ago, they collected specimens that experts later identified as being new to science, and not yet been described. As we pushed our way through the wet vegetation and slipped on steep hillsides, we hoped we’d get to see some of these unique fishes ourselves. FISHBIO assisted FFI with electrofishing surveys to collect fish specimens, and we caught many small fishes among the rocks and fast-moving water. 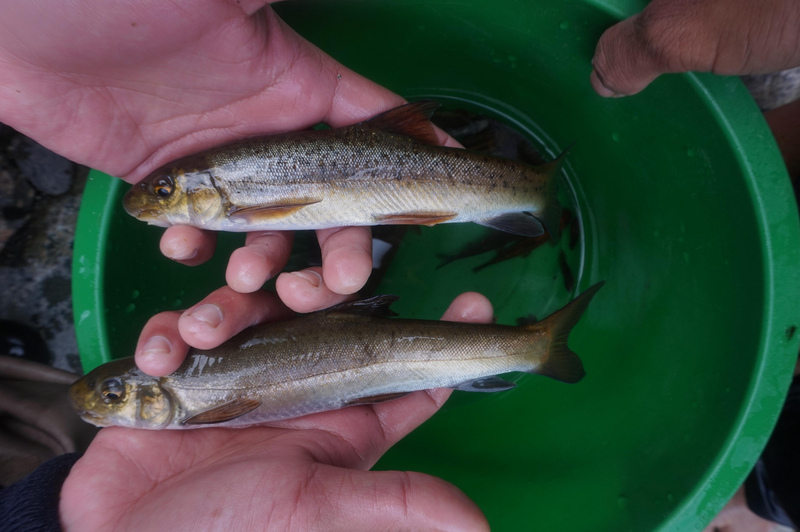 One of the most common species we collected was snow trout (which mostly belong to the genus Schizothorax, although experts think the variety in Myanmar may be a different genus). 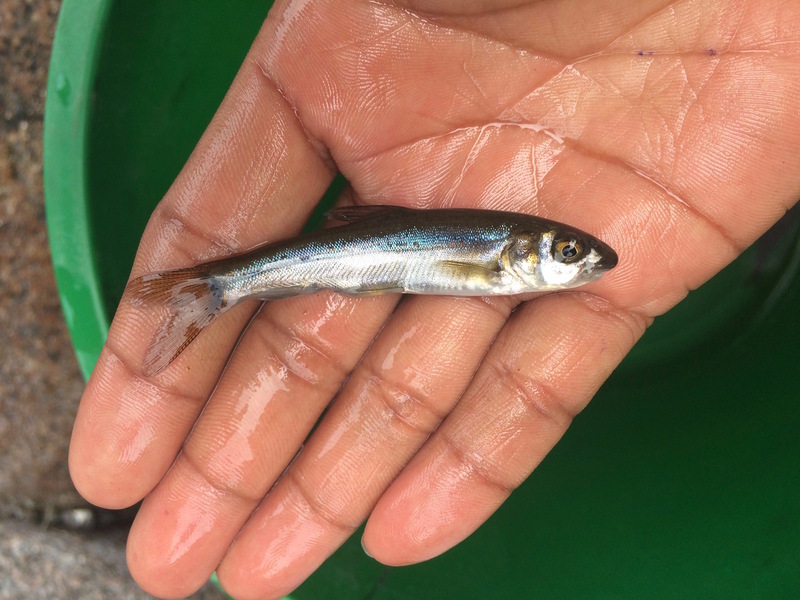 This is the most popular fish species caught for food in the area, and even ended up in our dinner bowls during the trip ­– heads, tails and all. 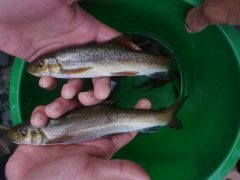 We caught many small adult snow trout, as well as some juveniles with shiny blue scales. Many of the fishes are adapted to hunkering down in the rushing water and clinging to rocks, like the flat catfishes of the genus Pseudecheneis with fins that look like wings. 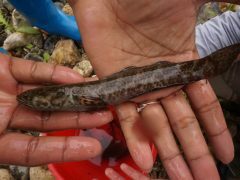 We collected nobby-nosed fishes of the genus Garra, similar to those we encountered in Laos (see Serious shnoz), a few, brightly colored fishes of the genus Devario and many striped, whiskered loaches of the genus Schistura. 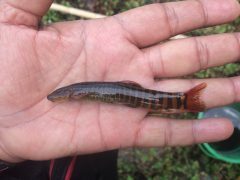 One of these loaches was particularly special, because our colleagues told us it was one of the brand new species identified in their earlier surveys. 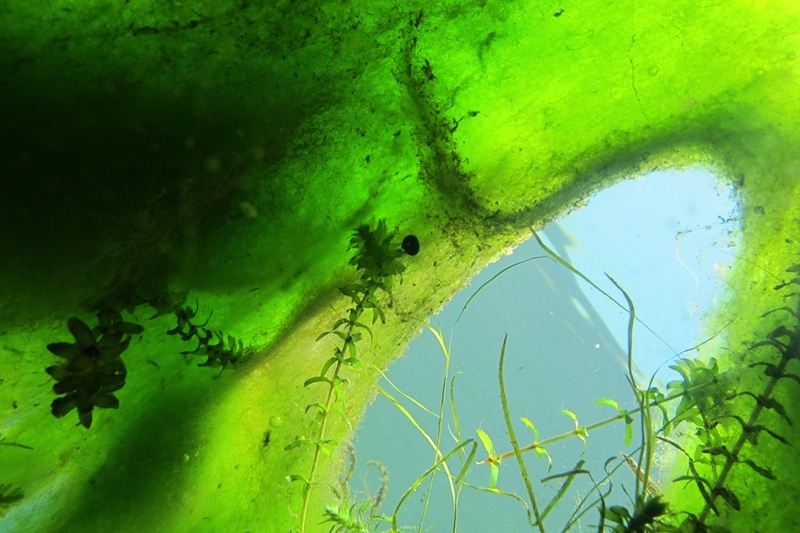 It was exciting for us to examine a species so few people had ever seen! 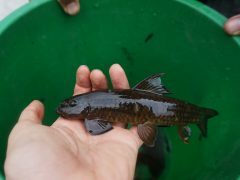 Lots of these small fish made us think of freshwater aquariums, and in fact, many of Myanmar’s fishes are vulnerable to harvesting for the ornamental fish trade. But even the pretty fishes aren’t safe from the dinner plate. While passing back through one of the villages during our trip, we noticed a small boy wearing a snorkeling mask, standing in the river with his head underwater. At first we thought we had found a budding ichthyologist observing fishes for fun. 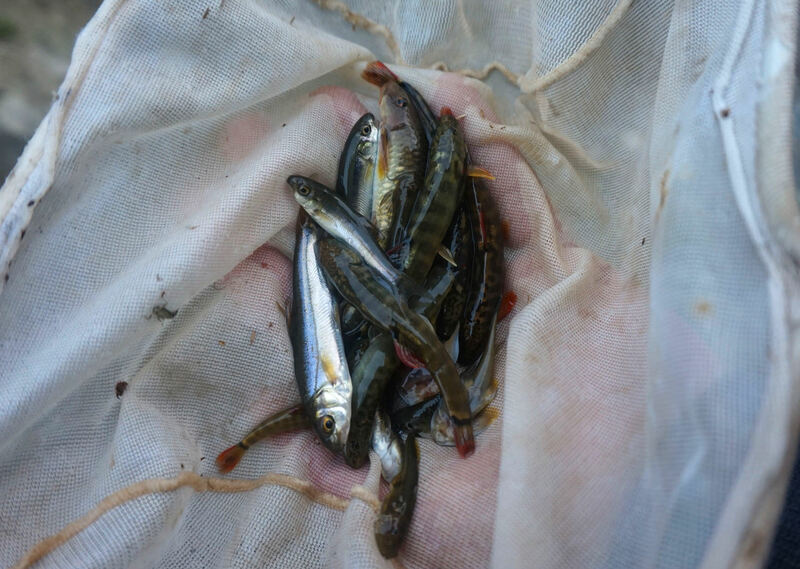 But later, the same boy showed us his mask filled with tiny fish, just like the ones from our survey, that he had caught with a tiny pronged spear. Presumably, they would serve as his dinner. 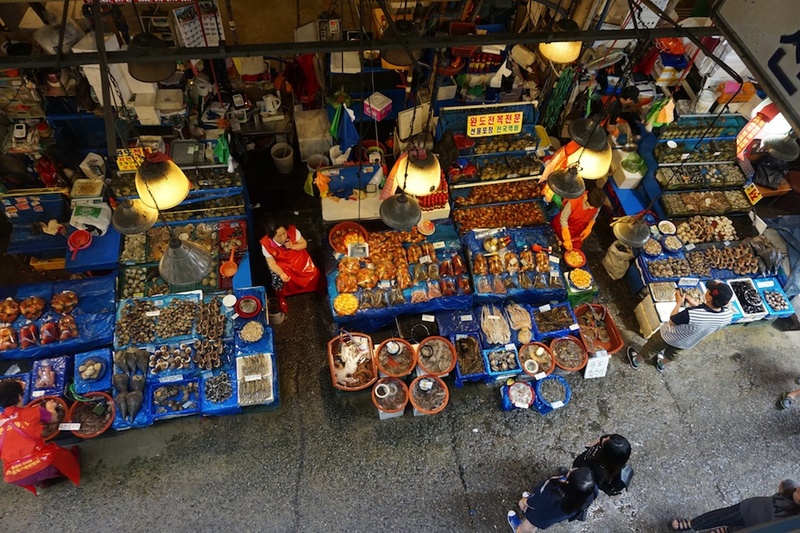 Similarly, when we toured the market in the city of Putao, we saw one vendor with piles of small stream fishes for sale. 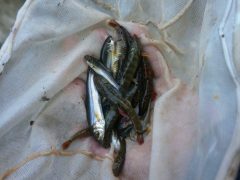 Our FFI colleagues told us the fish were almost certainly caught with illegal electrofishing gear. 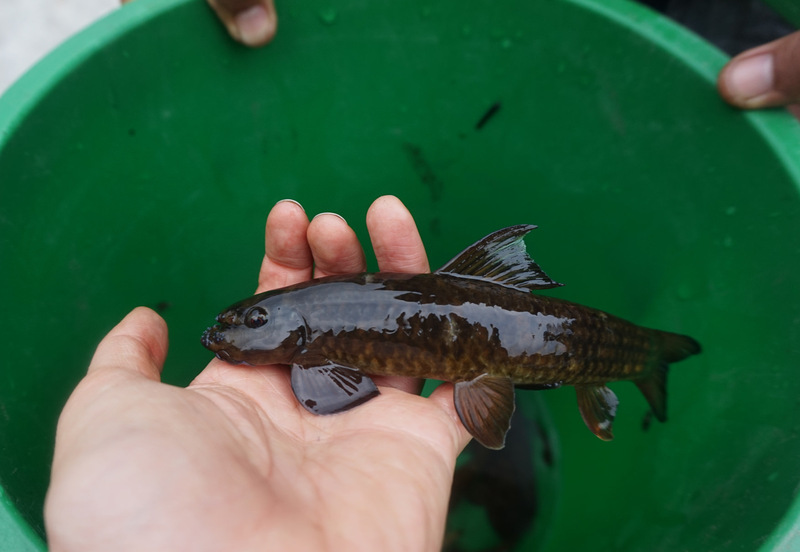 We felt fortunate to join FFI in their efforts to document and protect these unique fishes, and are grateful for the chance to both see them for ourselves and help raise awareness about their existence by sharing our experience with others. Watch this preview of our upcoming film Fish of the Mountains, and check out photos of our trip on Flickr!